Translating words from Arabic into English and vice versa has become pretty easy thanks to the Internet. I would like to share some useful tools for Arabic. Most of them are freeware. 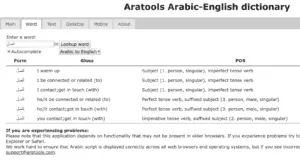 Here is a selection of the best available online Arabic tools for Standard and Classical Arabic, for Arabic dialects (Egyptian and Levantine), and for your mobile phone. 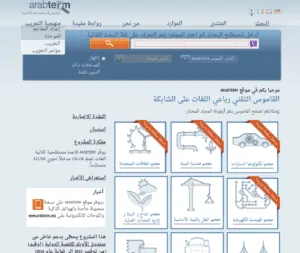 There is also a great tool to convert transliterated words into Arabic. 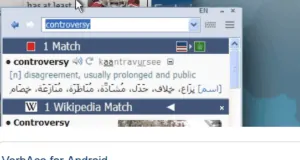 The biggest advantage of this dictionary is that it allows full text searches in Arabic and English. Furthermore, Greek and Hebrew text is shown and the Arabic font is very nice. This dictionary is a desktop application. It can be used offline. The program runs on Linux, Mac, and Windows. 2. Arabic Almanac (Arabic -> English) – Hans Wehr, Hinds/Badawi, etc. This is perhaps the best online version of Hans Wehr’s dictionary. The online version refers to the 5th edition. It is fast and it can be downloaded for offline usage. 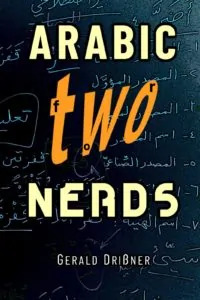 The website also includes the very good (but little outdated) Egyptian Arabic dictionary by Martin Hinds/el-Said Badawi as well as many Islamic dictionaries. There are also many Arabic-Urdu dictionaries available. Al-Mawrid is a famous and widespread dictionary, authored by Dr. Rohi Baalbaki. 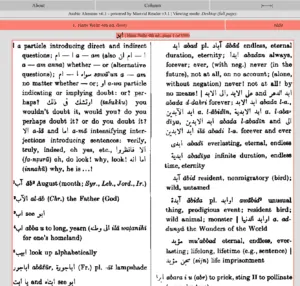 Al-Mawrid is probably the most advanced contemporary Arabic/English dictionary. It contains more than 50,000 words with many related appendices. The online version refers to the 7th edition. Both websites are a great resource if you need to translate old texts written in Classical Arabic. You need to have a good command of Arabic in order to understand the Arabic explanation. 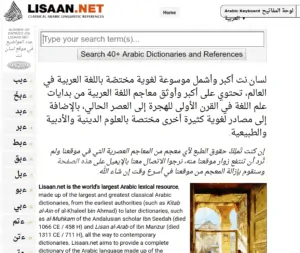 Lisaan.net calls itself the world’s largest Arabic lexical resource, made up of the largest and greatest classical Arabic dictionaries, from the earliest authorities (such as Kitab al-Ain of al-Khaleel bin Ahmad) to later dictionaries, such as al-Muhkam of the Andalusian scholar Ibn Seedah and Lisan al-Arab of Ibn Manzur (died 1311 CE / 711 H), all the way to contemporary dictionaries. Lisaan.net aims to provide a complete dictionary of the Arabic language, “from the dawn of Arabic linguistics to the present day”. This is a good database if you need to translate technical and political terms as most of the widespread dictionaries are in fact completely out of date in this regard. This database contains more than 150,000 entries (with more than half a million terms). It covers civil and electrical engineering, water technologies, renewable energies, textile industries and all major scientific disciplines in three languages (Arabic, English, and German). It is a joint publication of the Arab League Educational, Cultural and Scientific Organization (ALECSO) and the German Federal Ministry for Economic Cooperation and Development (BMZ). This website is very useful for beginners because it gives you the root of a word plus the vowels. So if you are not sure about the root, just type in the word in Arabic and it will give you the root. Furthermore, it tells you the mood of a verb, the tense as well as the personal pronoun. There is also an Android and iPhone version. However, the mobile apps are relatively basic and are not for free. I prefer the web-version (which is for free). The Arabic Verb conjugator is an interesting project. It is not completely flawless, but it is definitely useful if you get lost or want to check your homework. You can type in the root and the machine will conjugate the verb for you. But watch out and always double check. The website is for free. There is also an app for Android phones on Google Play (5,99 Euro) as well as for the iPhone (8,99 USD). This dictionary can be used in both directions (Arabic <-> English). 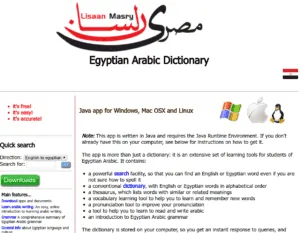 It is an extensive set of learning aids for students of Colloquial Egyptian Arabic. Words are displayed in Arabic, transliterated and in phonetic writing, with recordings of all of the main word forms. There is also a thesaurus. What is of great help too, there are audio recordings of most words and examples. This program can be run on Linux, Windows, and Mac (Java). Note that it requires Java – you can download it here. MOBILE: There is an Android version as well as an iPhone version – both are for free! 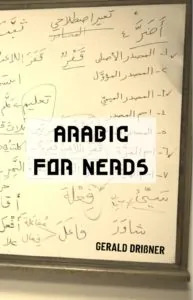 This is a great resource for Egyptian Arabic and Levantine Arabic, including tens of thousands of definitions and examples, sayings and proverbs. You can use it online (website) or download a mobile app. This dictionary can be used in both directions (Arabic <-> English). MOBILE: There is an app for Android (1,99 Euro/Dollar) and iPhone (1,99 Euro/Dollar). This app is for free and does not even include ads. 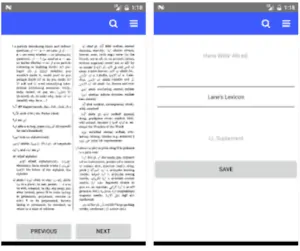 Almost every serious dictionary is included: Hans Wehr, Lane’s Lexicon, Steingass, Brill, A Dictionary and Glossary of the Koran by John Penrice, Vocabulary Of The Holy Quran by Dr Abdullah Abbas Nadwi, Verbal Idoms of the Quraan by Mustansir Mir, Dictionary Of The Holy Quran, by Malik Ghulam Farid, Dictionary of The Holy Qur’an by Abdul Mannan Omar as well as several Urdu-Arabic dictionaries. You also find Indonesian / Malaysian dictionaries such as Al-Munawwir, Kamus Arab-Indonesia Terlengkap, oleh KH. Ahmad Warson Munawwir, Kamus Idris Al-Marbawi (Arabic-Malay), Ensiklopedia Al-Quran (Malay): Kajian Kosa Kata, Quraish Shihab. You can get the app for free at the Google Play store. VerbAce is a very good dictionary if you want to translate from English into Arabic. The database includes commonly used phrases (mostly contemporary) which clarify the meanings further. It is pretty useful for beginners and intermediates who need a quick translation or deal with contemporary texts or newspaper articles. You can get the Android-Version for free, but you have to download the apk-file and install it manually as it is not available on the Google Play store. I often struggeled to identify Arabic words because I failed to decode the transliteration. You sometimes need a lot of imagination – or you use Fuzzy Arabic which does the work for you and gives you almost all possible combinations. Note: In case you are interested in the code, check out here github-page. Do you know any other good website? Please let me know or share it with our readers by writing a commentary – thanks a lot! Disclaimer: Although care has been taken in preparing the information provided to you, I cannot be held responsible if you encounter copyright issues regarding the dictionaries I have presented. The use of the contents of the respective websites and apps is at your own risk. That page only mentions the iOS app, but there is an Android version which I use (it costs 7.99GBP). Thanks a lot! I didn’t know CAVE. I will have a look at it! Try also assiraj app, inculde like aratool plus the conjugation, conjugate all verbs without known exception. It’s free no adds and offline, no permissions. There is the Al Manhal app (for iOS & Android) for Arabic books; you can visit Al Manhal Store (which contains Arabic books – available in both print and electronic format), and your ebook purchases from it (or the app itself for that matter) would be accessible from the app. I absolutely recommend Reverso Context. The app (android & iOS) is free with a limited number of search results, but they only ask for $12 a year for more. 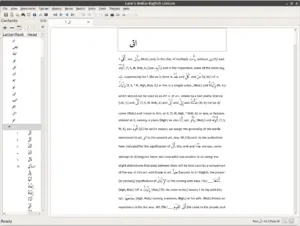 It works with Arabic and many other languages, providing parallel corpora for your results instead of a dictionary entry. The website (http://context.reverso.net/translation/) also includes a Chrome plugin allowing you to highlight and right-click a word to search, or click a button in the toolbar to manually enter a word. That looks terrific indeed, thanks a lot !